Sad to report the passing of retired Police K9 Diesel. 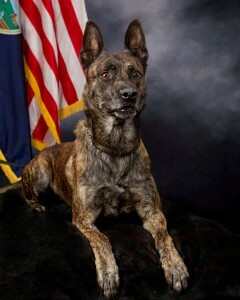 Diesel served the Lenexa Police Department for eight years, retiring in 2015. During his career he was deployed 523 times, making 63 drug finds and seizing over $77K in cash. K9 Diesel also made apprehensions of 35 felony criminal suspects. K9 Diesel and his handler, Corporal Sumner placed numerous times in National Police K9 competitions, including a 1st place finish in 2009. After retiring, K9 Diesel continued to live with Cpl. Sumner and his family up until his passing. Our Police K9s work to serve and protect our community just as much as our officers do. We will always remember K9 Diesel’s contributions to our department.